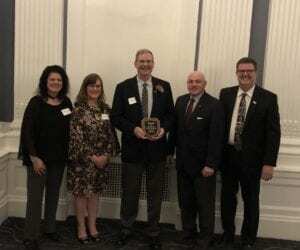 Questar III BOCES and Coxsackie-Athens CSD Board Member Joseph “Seph” Garland received the Excellence in School Board Service Award at CASDA’s Regional Education Awards Dinner at the Albany Renaissance Hotel on April 18. CASDA’s Regional Awards Dinner recognizes outstanding individuals who have demonstrated excellence in serving their school communities. Questar III District Superintendent Dr. Gladys I. Cruz said Garland is a model school board member. “Congratulations to Seph for earning this award for school board excellence. He is truly an outstanding school board leader who continually puts students first through his words and actions. 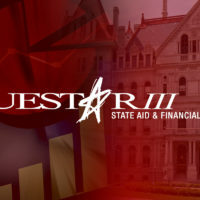 We are lucky to have him on the Questar III Board,” Cruz said. Garland has a combined 35 years of school board experience. He has served on the Coxsackie-Athens CSD Board of Education since 1993 and the Questar III Board of Education since 2008. Garland has served as Coxsackie-Athens CSD Board President since 2004. 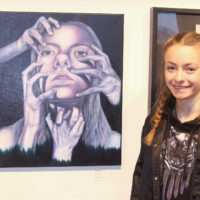 A lifelong resident of Coxsackie, Garland graduated from the Coxsackie-Athens CSD. He has four children.